This Tuesday (April 21st, 2015), Google released a new update to their algorithm designed to improve the search experience for mobile users. If a user searches from a mobile device, Google will give priority to pages that are deemed mobile–friendly. This is great news for mobile users — over time the experience of searching from a mobile device will become easier and more enjoyable. However, it may not be such great news for businesses that are unprepared, and we expect to see a significant reduction in mobile traffic for websites that have not been optimised for mobile. Pippin is friendly and unique gift boutique near Haymarket Station in Edinburgh. Their owner is passionate about finding original, British, hand-made homewares, jewellery, and other gifts. It's my first port of call for Mother's Day and a lot of birthdays. A quick Google search for "boutique gift shop Edinburgh" shows Pippin on the last result of the first page (or 10th place). 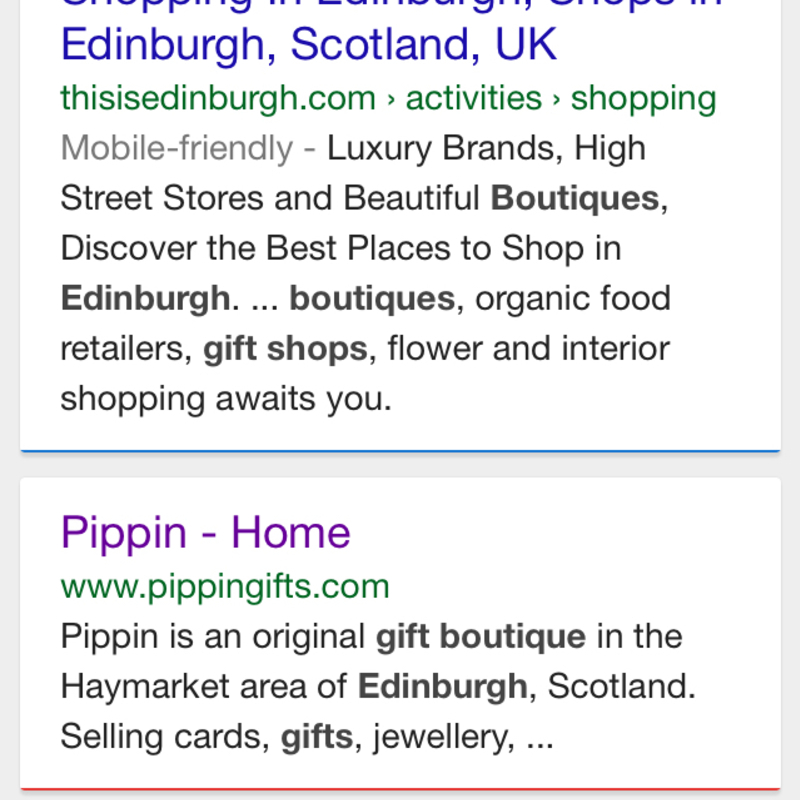 The search snippet also reveals that Pippin's website is not currently considered mobile-friendly by Google. You can tell this at a glance by the absence of the new "Mobile-friendly" label Google started adding to snippets last November. A 2013 study showed that search results in 10th place can expect an average of 2.4% of the traffic for a given search term. For every 100 people who search for "boutique gift shop Edinburgh", Pippin can expect two adults and a child to visit their website, and hopefully their store thereafter. The same study showed that results on the 2nd page or later receive a depressingly low number of clicks. The difference between 10th place (last result on the 1st page of Google) and 11th place (first result on the 2nd page of Google) was a staggering 140% drop. The cruel joke goes: If it's not on the first page of Google, it doesn't exist — and the data backs that up. In short, businesses like Pippin, restaurants, stores, hotels, and other websites may see a significant drop in mobile web traffic over the coming months. Considering just how much some businesses rely on search engine to make them visible to their customers, you can see why this update has been nicknamed "Mobilegeddon". Should you be worried about your website? The answer is: it depends. Every industry, and every website will be impacted differently by this update. While mobile unfriendly websites can expect to see a drop in traffic, mobile friendly websites could even see a boost in traffic over the coming months as their competitors are pushed further down the search rankings. I'd like to help make sure your website is in the latter. Quickly check your own website by searching for its name on Google from a mobile device. You want to look for a grey label that says "Mobile-friendly". 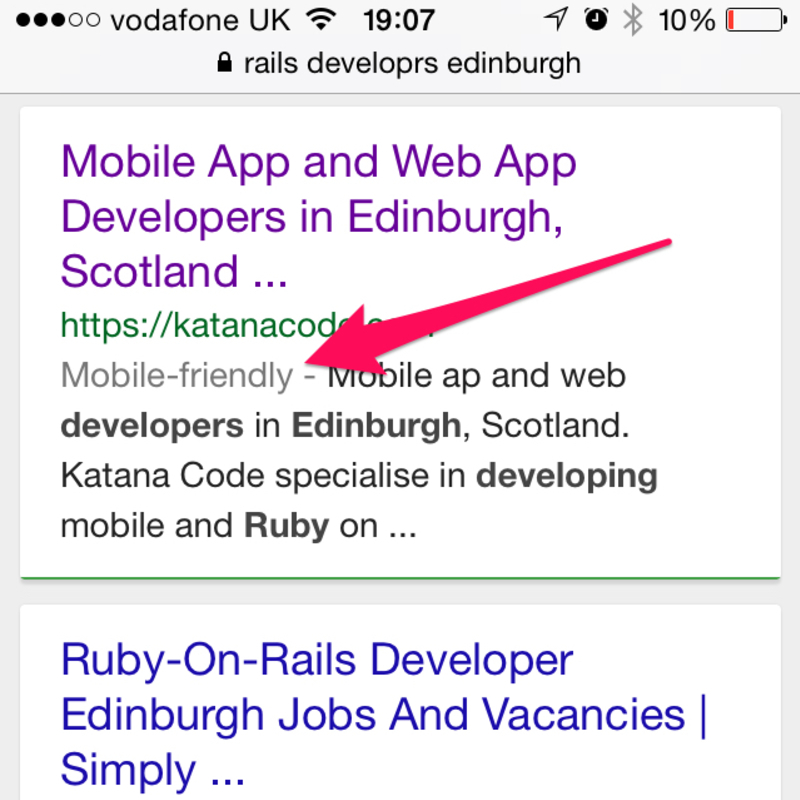 If you see that in your snippet, then you can relax — Google already considers your website to be mobile-friendly. Instead, your homework should be to focus on getting your page up to the coveted 1st place rank on Google. There, you can expect to receive, on average, 33% of the search traffic for your main keywords. If you can't see the "Mobile-friendly" label, don't panic. This may not be an immediate problem for your business. Log in to your Google Analytics account (assuming you have one) and click on the mobile overview tab. 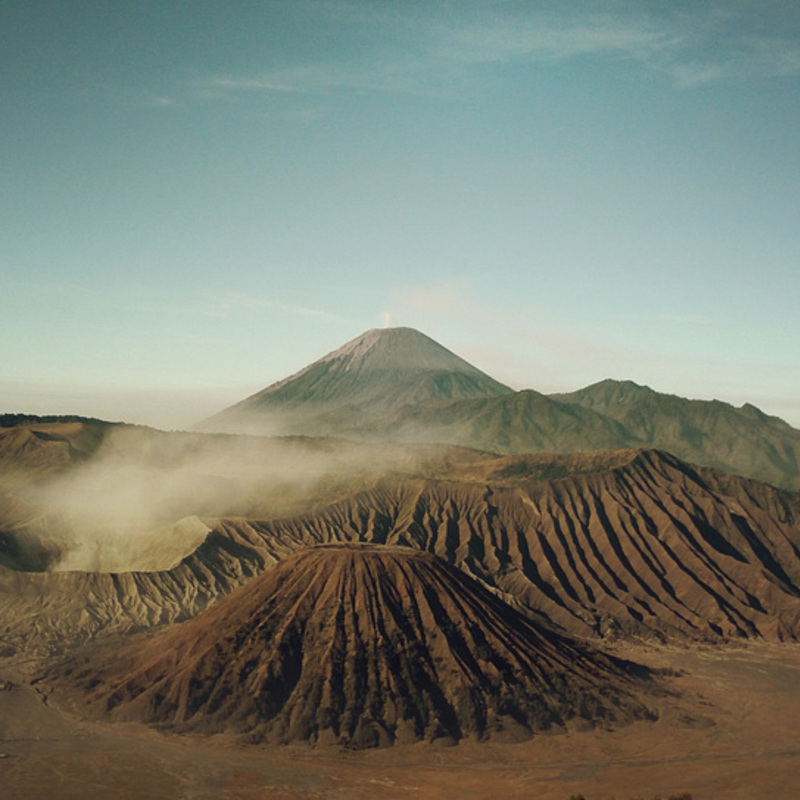 (Go to Audience > Mobile > Overview). What you're looking for is how much of your current website traffic comes from mobile devices. For our website, about 16% of our traffic comes from mobile users. Yours may be lower or higher. Now you know what portion of your website visitors are using mobile devices. But this does not exactly reflect the portion of your visitors who may be affected by Mobilegeddon, only the ones who are receiving a less than optimal service from your website. To find out how many will be directly affected by Mobilegeddon, you'll also need to see how many of your mobile visitors are coming from Google. Still in Google Analytics, look for the "Secondary dimension" tab under the line chart. Click on that, and choose Acquisition > Source. You should now see a lot more information on the table below the graph. Look for the row that says "mobile" in the first column, and "google" in the second column. That row is the specific portion of your website traffic that may be negatively impacted by Mobilegeddon. For us, it's 6.48% of all of our traffic. Decide if the percentage of your traffic from mobile users is significant enough for you to take action. How would your balance sheets look after a couple of months if you lost 50%, or even 90% of that traffic? If you feel the potential loss is significant enough, then you should take action now. Make sure the fonts on your page are large enough. Go for at least 16 pixels. That should make it easy to read for mobile visitors, and more accessible for the visually impaired. (We've used 18px as the main font size on our website). Make the clickable areas larger. Make clickable areas such as buttons and links larger, and add more white space between them. This will make it easier for users to tap links, without accidentally clicking on another adjacent link. Set your mobile viewport. This one is a bit more technical. The viewport meta tag is a tiny snippet of code that you should have in the head of your webpage. It's not visible to your users, but this tag tells the browser what size it should scale the screen to, and whether or not the user has permission to resize the screen. Use a single-column layout in your design. Mobile pages work best when you have a single column of content that flows logically from top to bottom. If you can, try and update your website design using a single-column layout, or one that collapses to a single column on smaller screens. Those changes alone should make a vast improvement to how well your site works on mobile devices. Mobilegeddon is a significant update that every website owner should be aware of, but it's not something you should be anxious about. It's a change, and like any change it brings new opportunities. By investing in your own website and providing a better experience for your mobile users, you could exploit this update to move ahead of your competition in search rankings. This could, in turn, have a considerable effect on your business success. Oh, and if you're ever near Haymarket Station, pop into Pippin and buy yourself one of their Very Berry scented candles — they smell incredible! I’m a web developer here at Katana Code. I’ve helped dozens of startups, charities, and SMEs launch effective and elegant websites to market.